Companies are stepping up to rebuild Puerto Rico. As of Friday, corporate donations have reached $24.1 million for Hurricane Maria relief efforts -- about triple the amount that had been contributed four days ago, according to an estimate from the U.S. Chamber of Commerce. A spokeswoman for the Chamber of Commerce said she expects corporate donations will continue to grow as companies see the urgent need in Puerto Rico and as rescue and relief work shifts into long-term recovery. 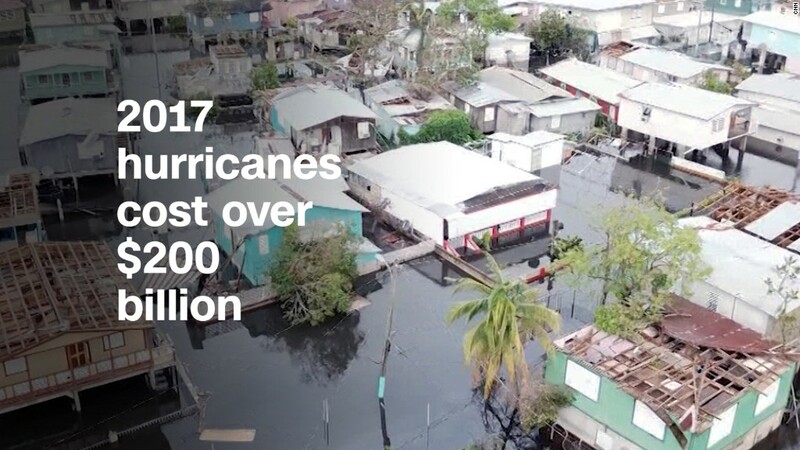 The storm, which slammed Puerto Rico more than a week ago, is expected to leave behind billions of dollars in damages. A series of natural disasters across North America over the past month could have tested the limits of corporate giving. Businesses pledged over $224.9 million to relief efforts following Hurricanes Irma and Harvey, according to a recent estimate from the Chamber. Nevertheless, major companies have continued to donate in the wake of Maria. Related: Who will help Puerto Rico? On Friday, JPMorgan Chase (JPM) announced a $500,000 donation to organizations working on the ground, like the Community Foundation of Puerto Rico and the local Boys and Girls Club. Verizon (VZ) on Friday upped its donation to $5 million from $1 million for the island. Healthcare companies Kaiser Permanente and Abbott (ABT) are each contributing $1 million to relief efforts. Starbucks (SBUX), which has 500 employees on the island, will give $250,000 to recovery and rebuilding in Puerto Rico, and Google and its employees have pledged $1 million. Meanwhile, Coca-Cola (CCE) has tripled the amount of money it's donating to disaster relief in the wake of Hurricane Maria and the earthquakes in Mexico. The company will donate another $4.3 million to help with recovery. It had previously announced a $2 million contribution to the American Red Cross for Hurricanes Harvey and Irma, and that it would match employee donations up to $100,000. Amgen, a biotechnology company, has pledged $3 million to support urgent Hurricane Maria relief efforts in Puerto Rico. It has also committed up to an additional $2 million for longer-term rebuilding. Some businesses are lending a hand by providing services and in-kind donations, like food and supplies. AT&T (T) and T-Mobile (TMUS) are waiving cell phone charges in impacted areas, Western Union (WU) will offer free money transfers to Puerto Rico from the mainland U.S. as soon as the network on the island is stable. JetBlue (JBLU) is flying in emergency supplies on one of its airplanes. Royal Caribbean's (RCL) humanitarian mission is rescuing about 2,200 people from San Juan, and will evacuate up to 1,000 more from the U.S. Virgin Islands. In addition, Orlando Bravo, the Puerto Rican-born co-founder of private equity firm Thoma Bravo, promised to give up to $10 million to the cause through the Bravo Family Foundation. Bravo's donation isn't included in the Chamber of Commerce's tally of corporate donations. Bravo's fund, Podemos Puerto Rico, will be "focused on providing direct and targeted relief to communities in Puerto Rico that have been difficult to reach and lag in aid," according to a press release. The statement said the foundation has already contributed $2 million to the fund and it's earmarked an additional $8 million to dole out over time. Julia Horowitz and Jackie Wattles contributed to this report.